It’s Deer Season! Drive Safely. Everyone loves Bambi and his forest friends but when they decide to jump, run and freeze in front of your car and leave a lasting imprint, the love of deer during the Fall and Winter season decreases significantly. According to the insurance agency, State Farm, the odds of a vehicle collision involving deer are 1 in 63 in Pennsylvania making the state third in the United States for car accidents involving deer. West Virginia and Montana topped the list in deer related incidents, while Pennsylvania was followed by Iowa and Wisconsin. The state with the lowest odds of coming in contact with a deer in your car is in Hawaii at 1 in 6,823. From October to December drivers should be cautious while driving since that is the time when drivers are more likely to hit a deer. These months coincide with the animal mating season. If you see one deer, be prepared to see more deer cross the road. Use your high beams to see farther at night, except when there is oncoming traffic. Remain focused on the road. Scan ahead for hazards, including animals. Avoid distractions. Using technology devices such as a phone or radio, or eating might cause you to miss seeing an animal. 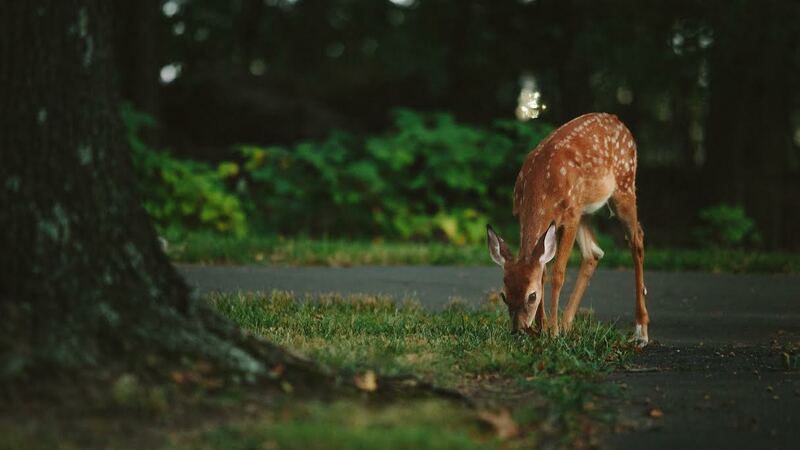 Under Pennsylvania state law, crashes involving deer are considered not-at-fault accidents, and insurance companies cannot add a surcharge to a policyholder’s premium as a result. This, however, excludes drivers that do not come into contact with a deer. At Bumpers Etc., we have vehicle rental assistance. We have partnered with Enterprise Rent-a-Car, which allows us to move forward with a quicker hassle-free way of helping you through the process of rental coverage and pick-up services. If an insurance claim is required, you can leave your vehicle at our auto collision repair shop for a thorough inspection so we can work with your insurance provider, making sure a quality repair is done. We would recommend that it is extremely important to spend that little extra money on your auto policy for it to include rental coverage. By having rental coverage, you can get in a rental car right away if an unfortunate event like striking a deer or other large animal would occur. Rental car reimbursement insurance provides you with a rental car in the event your car needs repairs for a claim covered by your insurance policy. We know that life gets busy, so for your convenience, we have provided an easier way for you to receive a free preliminary estimate. With a few clicks and a several pictures, we can send you a professional estimate via email within 24 hours and will give you a call to set up an appointment for your repair. A final appraisal will then be done in person when you arrive with your vehicle to make sure your estimate meets our strict standards for competitive pricing and accuracy.